Welcome to our corporate-controlled future Internet with Facebook Instant Articles et al. "There's a generational shift in technology happening right now: From the open Web to native apps, from desktops to mobile phones, from platforms built on standards to platforms owned by corporations. Let's call it the second Internet. Here's what it looks like: "Facebook Instant Article". That's right — it's Facebook. More than 1.44 billion people use Facebook every month, and almost a billion of them use it every day. The majority do so via the Facebook app on their phones. 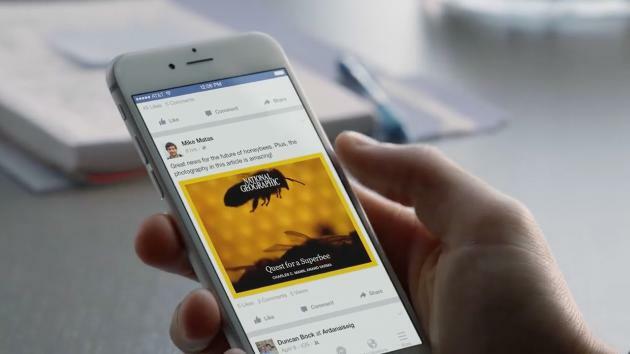 That's why publishers like the New York Times, Buzzfeed, and National Geographic were so eager to test out Facebook's new Instant Articles platform. This platform puts publishers' stories directly into the Facebook app (on iOS only, for now), where they load more quickly than they would if Facebook just linked to the publishers' websites — which take an average of eight seconds to load, Facebook says. Instant Articles also offer a variety of snazzy tools for publishers to present their images and interactive elements."